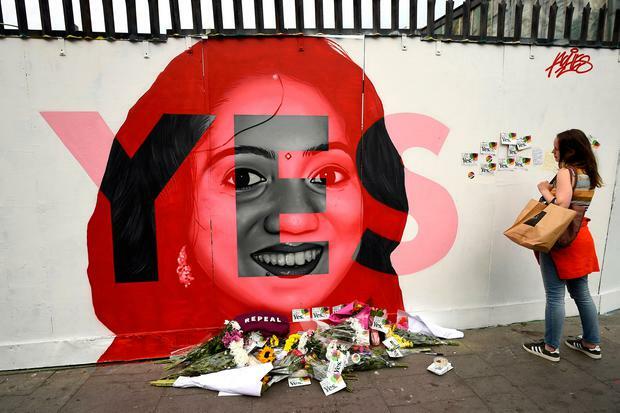 A MASSIVE moment in Ireland's social history is set to emerge today with the Yes vote expected to pass overwhelmingly in the abortion referendum. The country is on course to legalise abortion after a huge number of young people turned out to repeal the Eighth Amendment. The eyes of the world's media are on the country after exit polls predicted a landslide Yes victory in the referendum. Exit polls predict the Yes vote passed comprehensively in urban and rural areas alike with the result expected to be in the region of 69.4pc to 30.6pc. As expected, Dublin carried the strongest repeal vote at 79pc. In Leinster the Yes vote is expected to be 67.2pc. Munster came in at 66.3pc. Even the normally conservative Connacht/Ulster voted 62pc in favour. One of the biggest stories emerging from referendum day is the enormous numbers of young people who turned out to vote. However, many of those over 65 also voted for change. More than 72pc of women were in favour and 66pc of men, according to an exit poll carried out by Behaviour & Attitudes for RTÉ. Around two million people cast their vote. Late last night, Health Minister Simon Harris told Independent.ie: "It looks like we could be on the cusp of a historic day where our country can enact laws that are a bit more compassionate for our women." Counting does not begin until 9am Saturday, with a formal result not due until later in the day, but the data suggests Ireland is on the cusp of a defining moment in its social history. Reacting to the exit polls, Taoiseach Leo Varadkar, a vocal proponent of liberalisation, tweeted: "Thank you to everyone who voted today. Democracy in action. It's looking like we will make history tomorrow." Meanwhile prominent No campaigner Cora Sherlock expressed disappointment at the polls. The vote saw citizens effectively opt to either retain or repeal the Eighth Amendment of the state's constitution, which prohibits terminations unless a mother's life is in danger. If the Yes vote is confirmed, the Government intends to legislate by the end of the year to make it relatively easy for a woman to obtain the procedure in early pregnancy. The polling data suggests a huge gulf in views held by Ireland's youngest and oldest generations. In keeping with the urban/rural trend, Dublin had the highest Yes vote of around 78%. In Leinster, just under two-thirds of voters (66%) backed liberalisation, with a similar figure in Munster. In Connacht/Ulster, the figure was slightly lower at around 61%.